Some women grow up already making plans for their dream weddings, deciding on the theme and color motifs, adding new friends to guest lists and rearranging the list of bridesmaids. There are even several boards on Pinterest by women who aren’t engaged (or in a relationship) but planning their weddings anyway. Some women, however, find themselves totally stumped when it comes to wedding plans. 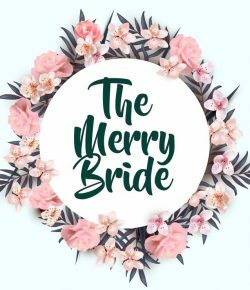 Of course, that’s what The Merry Bride is here for, and today, we feature one of the easiest themes to execute: a bingo wedding. Bingo has always been quite an easy theme to execute. The core elements of the game are simple, and the game itself is an enjoyable, easy-to-play activity that most wedding guests will be familiar with. Being popular in the 1950s and 1960s, the game is quite retro, and can add a whole layer of retro vibes to your wedding. For your motif, you can stick to traditional bingo colors of red and white, but bingo’s also begun ditching those colors recently in favour of more contemporary colors. Instead of sticking to archaic bingo colors, turn to the aforementioned modern online bingo sites for color inspiration. CheekyBingo for example, uses a vibrant color combination of pink and yellow, which is sure to go well with a bridal bouquet of marigolds and carnations. When all else fails, though, just go for vibrant colors that are known to go great together. The bingo cards generally have a 5×5 grid on them, with the word BINGO spelled out across the top. This is usually how many wedding planners infuse weddings with the theme, as the card is simple and very versatile. The Every Last Detail has a great post on Reception Bingo, which lets guests of the wedding play a round of the classic game as they cool down after flocking towards the dance floor. ++++++++++++++++++++++++++++++++++++++++++++++++++++++++++++++++++++++++++++++++++ There are also a great customised wedding bingo card available on Etsy, which can serve as a great icebreaker – especially if you have relatives who don’t usually see each other attending the wedding. ++++++++++++++++++++++++++++++++++++++++++++++++++++++++++++++++++++++++++++++++++++ And those bingo balls and numbers? There’s no better place for them but in desserts! To end the day, you can give out wedding favors in the form of bingo cupcakes. Each cupcake can have a small bingo ball as a topper, or a bingo card reflecting the date of your wedding. ++++++++++++++++++++++++++++++++++++++++++++++++++++++++++++++++++++++++++++++++++++ Of course, simple chocolate cupcakes with numbers will also do the trick!